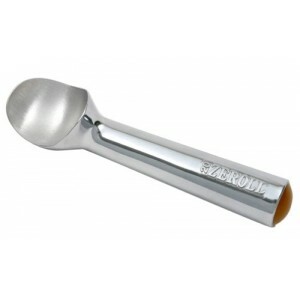 Zeroll Original Ice Cream Scoop -. 2 Ounce. The Zeroll Ice Cream Scoop creates a bigger looking portion by eliminating compression. 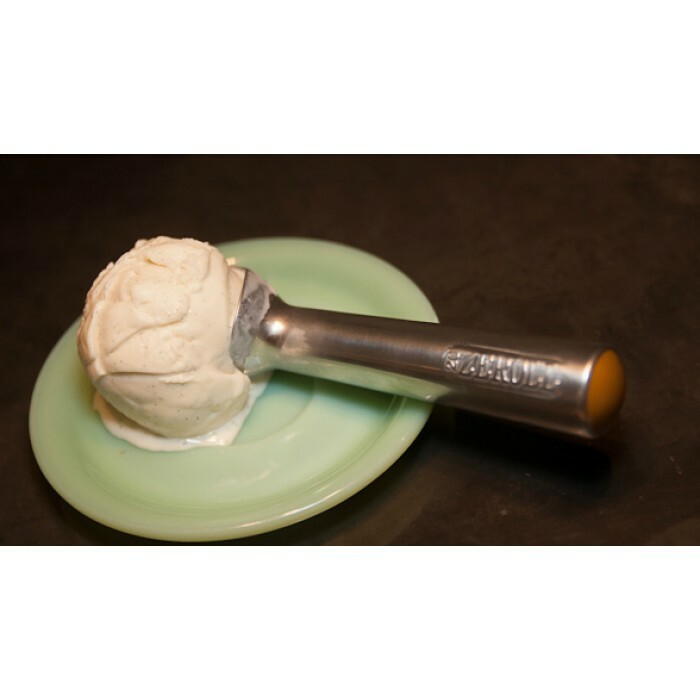 The 2 ounce size allows you to scoop 40 portions per gallon of ice cream. 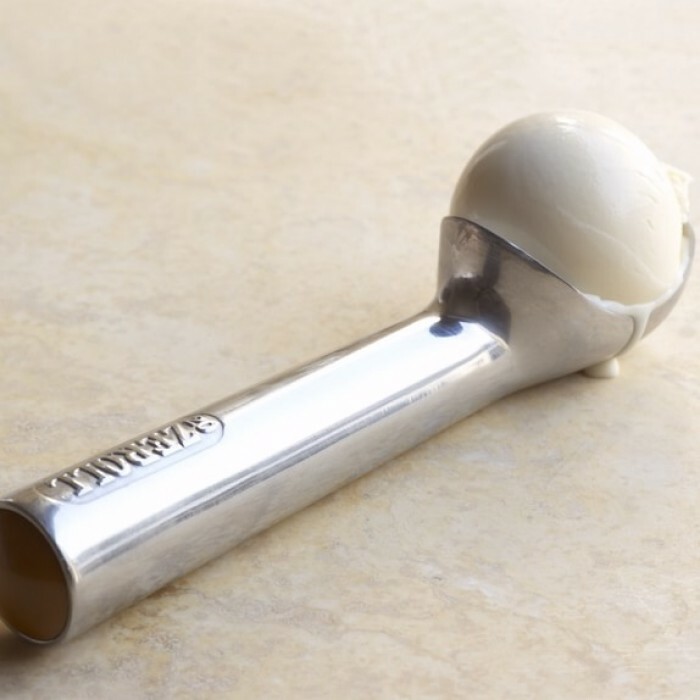 It features heat conductive fluid sealed within the handle, and a gold end cap.